CLOSEOUTS. 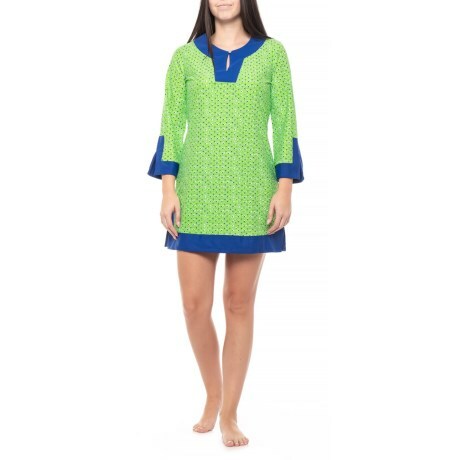 Cabana Lifeand#39;s Cape Town Cabana tunic swimsuit cover-up dress offers extra UV protection and a flattering design for coverage after swimming in the pool or on the beach. Available Colors: GREEN. Sizes: M, L.